Over 5,000 years ago, the first bronze alloy was made by mixing copper with arsenic. The problem with arsenic bronze is that the alloying process was a bit difficult to control, but more importantly, one of the ingredients was intensely toxic. Fortunately there have been a few improvements in the past five millennia, and bronze windows and doors have transitioned into a great addition to any home. One of the benefits of our bronze (OT67) is that it is made from 67% copper and 33% zinc; its high copper content gives it that unique patina. Bronze only oxidizes superficially, and that oxidation (the reason for its trademark patina) allows the underlying metal to retain its strength and resistance to metal fatigue, while in turn protecting it from corrosion. Bronze has a strong resistance to the elements so it works great in any climate. It has a phenomenal resistance to seawater making it perfect for coastal locations and is a maintenance free material that will never rust. On top of being a great material, it is also beautiful. The luster and color of bronze is warm and inviting, speaking of a time of architectural elegance and tradition. This means that bronze windows and doors are ideal for a historic renovation, especially where landmark approval is required. 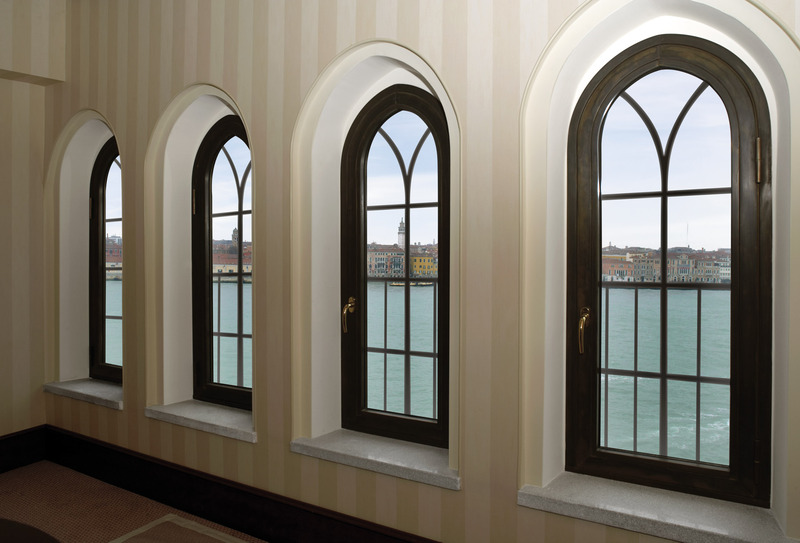 At Steel Windows & Doors USA, we offer a number of different finishes to appeal to a wide array of tastes. We have the standard burnished treatment, to create different levels of patina, or a polished finish to create a mirror-like shine as you might find in more traditional bronzes. We are also proud to offer five specialty finishes to accommodate every style. If you are looking to make the leap to bronze windows and doors or if you have any questions about this, please feel free to contact us.